Stock photography allows branders and marketers to introduce what many agree are the four basic marketing emotions that get people to pay attention to an advertisement: Greed (75% off! ), Vanity (Be the best! ), Exclusivity (Limited edition!) and Emotion (Don’t lose in life!). Companies like Apple elicit exclusivity when new hardware flies off the shelf. The sports equipment industry knows that vanity is the great motivator for selling their products and major grocery chains rarely veer from catering to customers’ greed. Now, representatives from two of the richest media companies, Facebook and Getty Images, have teamed up in an attempt to force marketers to diversify their imaging strategy by stymieing the emotional female fear-mongering advertisement. Their message has more to do with the desire for marketers to diversify which emotions they are eliciting when portraying images of women. But marketing professionals are unlikely to respond unless positive emotion can outsell the negative. “Negativity is the backbone of the media. Negativity makes money,” says Nancy L. Young-Houser. Do Getty Stock Photos Rely on Fear? The gender divide bothers a lot of people who spend a lot of time blogging about why women are not fairly represented and compensated in the workplace. These activists don’t like advertisements where women are portrayed as constrained. Last November Emily Shornick wrote in New York Magazine that searching “working woman” in popular stock photography databases misrepresents the feminist cause. 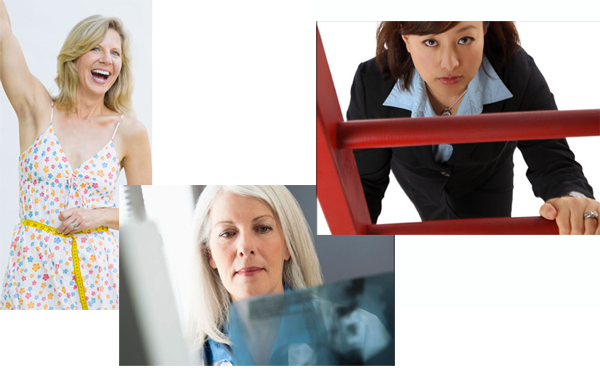 Her “Feminism according to stock photography” shows a collection suggesting that boxing corporate women, ladder climbing women, folder wielding women, and women with power tools are repressive imagery. Shornick also believes there is an over representation of pregnant woman and female radiology professionals doing their jobs. While the movement is good spirited and morally correct, it would be naive to believe the industry will change because of this feminist call. The bottom line will, ultimately, dictate whether female imagery in advertising moves away from fear and toward something more empowering. Fear mongering from media sources is not limited to any single demographic. We are hard wired to latch on to negative information as a means of survival. Positive reinforcement doesn’t keep you wary of the sabre toothed tiger in the high grass. Would have to agree with Buckner on his thoughts, but should add that our negative perceptions and depictions of African Americans in the media were forcefully changed, at times, so to depict them in positive light rather than typical stereotypes. Better to say it (the media) is an effective shaping tool, both positive and negative.